Whether you are a first-time visitor or longtime local, we welcome you to ShowCase Magazine’s annual “Best of” issue, a celebration of our esteemed organizations in the Puget Sound area. You may notice that this year we have expanded the guide to include the category of services. Here we grow again! In addition, we crowdsourced our most popular sections. Readers were able to weigh in on their favorites in our area. The dust has settled and in these pages we have uncovered businesses that stand victorious and come highly recommended as organizations that staff and readers have voted as first-class in our region. I encourage you to recognize our winners and check out those represented. We also encourage you to shop, dine and live local. It is a good time to continue to encourage our local businesses and economy. 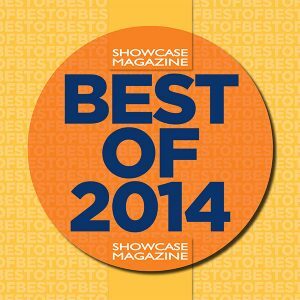 Across the South Puget Sound you will see ShowCase Magazine’s “Best of” logo proudly displayed in popular businesses. We congratulate these businesses that have earned the gold medal for this “Best of” magazine and for being at the top of their game, so to speak. We hope that you enjoy reading this issue as much as we enjoyed sifting through the choices to compile this issue.